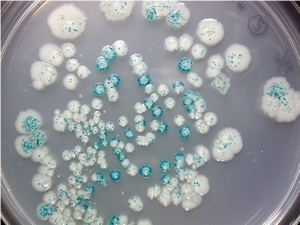 The laboratory of Food Microbiology and Hygiene conducts basic and applied research projects on food-borne or waterborne pathogens that cause infectious diseases or food poisoning impacting on human health and food safety using food hygienic, microbiological and genetic approaches. Cui,H., Gabriel,A., Nakano,H., (2011) Heat-sensitizing effects of plant extracts on Clostridium spp. spores. Food Control 22: 99-104. 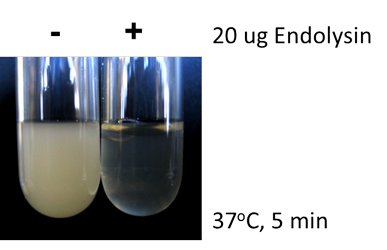 Gabriel, A., Nakano,H., (2011) Effects of culture conditions on the subsequent heat inactivation of E. coli O157:H7 in apple juice. Food Control 22: 456-1460. Cui, H., Gabriel, A., Nakano, H., (2010) Antimicrobial efficacies of plant extracts and sodium nitrite against Clostridium botulinum. Food Control 21: 1030-1036. Gabriel.A., Nakano,H., (2010) Influences of simultaneous physicochemical stress exposures on injury and subsequent responses of E.coli O157:H7 to resuscitative and inactivate challenges. Int.J.FoodMicrobiol. 139: 182-192. Elnahriry, S. S., Khalifa, H. O., Soliman, A. M., Ahmed, A. M., Hussein, A. H., Shimamoto, T., Shimamoto, T. (2016) Emergence of plasmid-mediated colistin resistance gene, mcr-1, in a clinical Escherichia coli isolate from Egypt. Antimicrob. Agents Chemother. 60: 3249-3250. Ahmed, A. M., Shimamoto, T. (2015) Molecular analysis of multidrug resistance in Shiga toxin-producing Escherichia coli O157:H7 isolated from meat and dairy products. Int. J. Food Microbiol. 193: 68-73. Kamimoto, M., Nakai, Y., Tsuji, T., Shimamoto, T., Shimamoto, T. (2014) Antiviral effects of persimmon extract on human norovirus and its surrogate, bacteriophage MS2. J. Food Sci. 79: M941-M946. 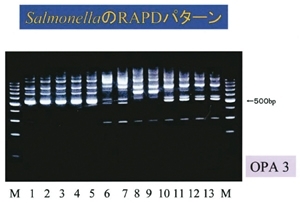 Shimamoto, T., Ahmed, A. M., Shimamoto, T. (2013) A novel retron of Vibrio parahaemolyticus is closely related to retron-Vc95 of Vibrio cholerae. J. Microbiol. 51: 323-328. Tamai, E., Yoshida, H., Sekiya, H., Nariya, H., Miyata, S., Okabe, A., Kuwahara, T., Maki, J., Kamitori, S. (2014) X-ray Structure of a Novel Endolysin Encoded by Episomal Phage phiSM101 of Clostridium perfringens. Mol. Microbiol. 92: 326-337. Nariya, H., Miyata, S., Kuwahara, T., Okabe, A. (2011) Development and characterization of a xylose-inducible gene expression system for Clostridium perfringens. Appl. Environ. Microbiol. 77: 8439-8441. Nariya, H., Miyata, S., Tamai, E., Sekiya, H., Maki, J., Okabe, A. (2011) Identification and characterization of a putative endolysin encoded by episomal phage phiSM101 of Clostridium perfringens. Appl. Microbiol. Biotechnol. 90: 1973-1979.